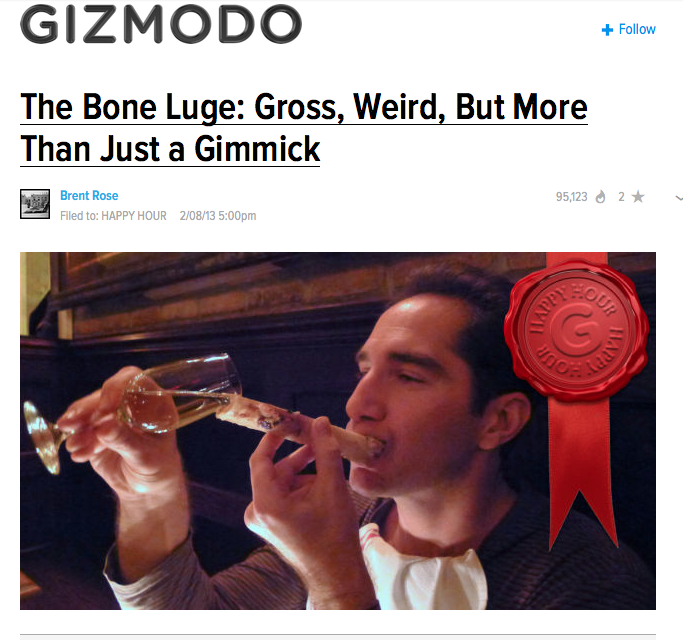 So, the all-powerful Gizmodo linked to my blog in a post on, of all things, marrow bones. Apparently, you can do shots using a marrow bone, a.k.a. a “bone luge.” At the end, they suggested that if peeps don’t want to drink out of marrow bones, they can roast them (like, civilized people do? ).